If you are taking part in a large construction project, it could potentially require the use of temporary roads. These roads can make it easier to get around and can allow you to work in any weather and on some of the most sensitive terrain on earth. 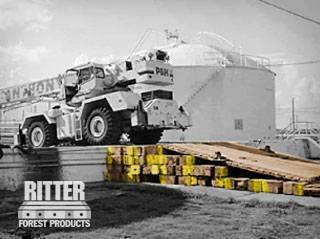 Ritter Forest Products can help you get temporary transportation access by providing you with quality road mats that will stand up to all kinds of heavy equipment, including trucks, cranes, and more. Our hardwood mats are designed to provide support for your equipment. 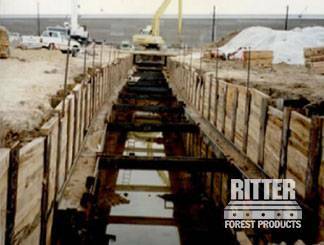 Because the road mats that are created by Ritter Forest Products are so durable, they will allow you to create access points on your job site for heavy hauling. The temporary transportation access they provide will help you load and unload vessels, containers, and modules without running into any issues. The mat rentals that we have can also be set up quickly, eliminating unnecessary downtime. 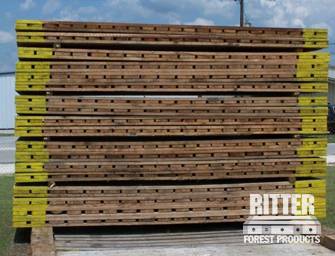 One of the best reasons to work with Ritter Forest Products is because you can avoid impact on the environment with our laminated mats, crane mats and other products. If you choose to drive heavy equipment over terrain without protecting it, you could leave behind a big mess and serious damage. Laminated mats will prevent this from happening, offering the environment the protection it needs. When you are loading and unloading vessels, containers, and modules on a worksite, you need to be careful and make sure your heavy equipment is stable. 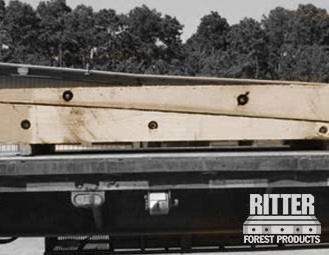 You can provide support during the loading/unloading process with road mats and the other mats provided by Ritter Forest Products. These mat rentals can support your equipment and make loading and unloading significantly easier and safer. To discover more about obtaining temporary road mats for secure transportation, give Ritter Forest Products a call today.